The story of the Apache Kid is almost like something out of a novel. The Kid's life was full of incredible circumstances and great tragedy. The more one learns about him, the more fascinating his story becomes. 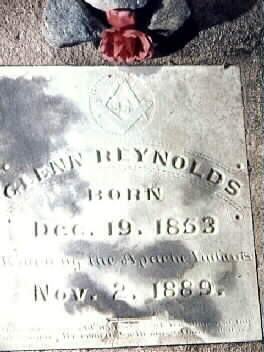 I believe he was one of the greatest enigmas in United States history, and most of his story all transpired here in the Globe/Miami/San Carlos area--at the foot of the great Pinal Mountains. He was truly one of our own, and he has never been forgotten. The Kid is believed to have been born about 1860 at Wheatfields, just north of what is now Globe. However, I have heard claims for his birthplace that range from Aravaipa Canyon to the White Mountain Reservation. From all the information I have learned about him, from books as well as personal interviews with many people, I believe he was indeed a Pinal Apache, probably born near Wheatfields. He later became a part of Capitán Chiquito's band, which ranged throughout this whole region. Wherever he was born, by the 1870s he was often in the Globe area, doing odd jobs for miners and soldiers. It is believed that he was befriended by the great scout Al Sieber in the Globe area. Sieber seemed to consider him almost like a son. Wherever Sieber went, the Kid was there also. It is known that the Kid picked up a considerable amount of scouting lore from Sieber. It is not known exactly when the Kid became a scout, but he must have done so when he was still a teenager. He was already a sergeant in the Battle of Big Dry Wash in July 1882. The renegade Na-ti-o-tish was killed in this engagement--the last big battle between Apaches and U.S. troops in the United States. In 1883 the Kid accompanied General Crook in his great expedition to the Sierra Madre. The Kid was well thought of by all the soldiers at that time. The Kid was probably also in Crook's 1886 campaign against Geronimo in Mexico. Immediately after the 1886 surrender of Geronimo, the trusted scout, Kid, himself became embroiled in affairs that were to result in great tragedy. Sometime in about May 1887 the Kid shot another Apache during a bout of drinking. It is more than likely that this killing was in revenge for the killing of his father, Togo-de-Chuz, although the real circumstances are not actually known. Whatever the reason, the Kid felt remorseful about what he had done and went to San Carlos to turn himself in. On 1 June 1887 Sieber was at the location where the Kid turned himself in. There is considerable confusion about what happened that day, but Sieber was shot in the leg and crippled for life. It is known that the Kid did not actually fire any kind of weapon, but Sieber seemed to consider the Kid at least partially responsible. The Kid escaped and tried to hide, but on 25 June 1887 he decided to surrender again at San Carlos. He was put on trial and sent to Alcatraz briefly, for intent to murder. There then occurred a torturous series of events, concerning judicial jurisdiction, and administrative matters, that are difficult to explain in a short presentation like this. Nevertheless, by October 1889 the Kid was placed on trial in Globe Arizona again. There were several other Apaches on trial at that time also in Globe. Of course, it was nearly impossible for any Apache to be acquitted in Arizona at that time, and so the Kid was placed on a stagecoach to go to prison in Yuma. Several convicted companions were also with him. South of the Pinals, not far from what is now called Kearny (Ripsey Wash), the Kid and his companions killed Sheriff Glenn Reynolds (a legend himself). One of the guards, "Hunkydory" Holmes, died of a heart attack. Another guard, Gene Middleton, was severely wounded, but survived. Through it all the Kid killed no one. It was his companions who did the actual killing. The Kid even saved Middleton's life at one point, convincing one of the real killers to leave him alone. After this fiasco, the Kid disappeared into the wilderness. Although all of his companions were later captured or killed, the Kid was never again apprehended. And this is where the mystery becomes very strange indeed. A bounty was placed on the Kid's head, and he is supposed to have killed many people after his escape. 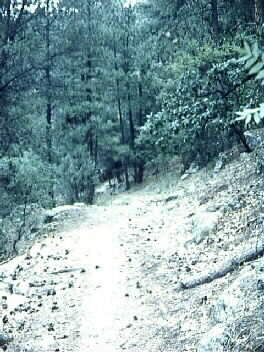 Some of the San Carlos Apaches also believe that he stole, or persuaded, several women to accompany him in his adventures. It is truly hard to know exactly what did happen to him. But, many (even some of his own people) began to fear him greatly. Others (I might add, to this day) seemed to protect him. 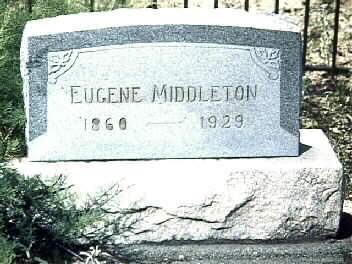 Whatever the case, he is believed to have eventually gone to Mexico, where he joined a few remnants of Geronimo's band who were never captured. The Kid probably died in Mexico with these last few holdouts of the old, free Apache way of life. One thing is known for certain. Up until at least the 1930s there were Apaches living in the old manner in the Sierra Madres of Mexico. A small band of them was wiped out by Mexicans on 17 April 1933 (see Meed, They Never Surrendered, pp. 143-144). But, there may yet be some Apaches in old Mexico. Perhaps they have already come out of the mountains and quietly become a part of Mexican society, but possibly they are still roaming the wilds in the old way. No one really seems to know. They may, in fact, be engaged in modern day renegade pursuits--drug dealing, in the no man's land of northern Mexico. The ultimate fate of the Apache Kid and the last of the wild Chiricahuas may never be known. There have been many people who have studied this incredibly complex story. Undoubtedly the most well-informed has been Dan L. Thrapp. You can read about his conclusions in his book: Al Sieber, Chief of Scouts. A well-researched, up-to-date review of these events is Phyllis De La Garza's The Apache Kid. I consider her research to be quite accurate. Now, I suppose there are many who will tell me, "Well, and who are you to judge that?" All I can say is, I have studied this story for many years now. In fact, since I was a child. I have been able to discover curious, previously unknown, tidbits from a variety of sources. I have searched the original records of the famous October 1889 trial here in Globe. I have discussed events with descendants of the only Apache placed on trial that momentous day who was acquitted: Captain Jack (whose story is also quite fascinating). I believe I may have also cleared up the mystery of the Kid's actual Apache name. Frankly, all the historians who have examined this have not been accurate. Some of the translations are FLAT OUT wrong. I do not speak Apache fluently, but I think I have a fairly good grasp of some aspects of it. I won't go into all the complexities of how his name is supposed to have been pronounced, but the closest is Hash-kay Bay-Nay-Ntayl, suggested by De La Garza. However, it does NOT mean what she believes it to mean ("brave and tall, and will come to a mysterious end"). [She actually got her information from my old school superintendent, Jess Hayes.] I believe the Kid's true name was: Hashkee Binaa Nteel. It means "Angry, he has wide eyes." Grenville Goodwin knew well that Hashkee was often used in Apache names, and one of my Apache friends, Phillip Goode (descendant of Gooday- Gooday, one of the original four "policeman" chosen by Agent John Clum), a fluent speaker and writer of San Carlos Apache, also believes the name I suggest to be most likely. Part of the reason why the Kid may have been given that name is that he was believed to have almost superhuman eyesight. The name I suggest would have recognized this fact. Well, whatever the Kid's name was, his story remains one of the most fascinating in American history. What did Sieber really think of the Kid? Was the Kid wrongly framed? (One of my favorite, now deceased, Indian sources, Hoo-moo-thy-ah, believes he was.) Did the Kid actually join the "Nameless Ones," as the wild Apaches of the Sierra Madre were called. (Their actual Apache name was: Nnee Nnaahí, often given as Nednhi in written accounts--it actually means "enemy people.") Are some of Kid's descendants still alive? What could they tell us? We may never know. But, certainly, this is one of the greatest mysteries in our history. The mystique of it, even today, is truly palpable in this region located at the foot of the curious, and powerful (yes, they are), Dzi£ Nnilchí' Diyiléé--Pinal Mountains. Shíí goshk'an dasjaa.